Hire security experts to implement best-in-class security. Get more experts to find what happened. Establish a carefully-thought-out strategy to recover from the breach and minimize damage to your reputation. Alert the public and your users about the event and your concerned, respectful response. Then, of course, you change your website, put lots of money into attractive graphics, while making it hard for users to login or reset their passwords. The share-your-expertise website Quora is surely in the running for best-in class when it comes to computer security; they have followed the above plan with true excellence. What a bunch of careful, responsible people, those folks at Quora are! So appropriate for a share-your-expertise site! I know, it's not click-bait for the general public, but definitely a good one for me. Not a killer issue, but I clicked out of mild curiosity about the answer, and also to see whether Quora was up and running normally. What I got was a lesson in how to respond to a security breach by driving your customers off. It's true, after all, that if there aren't any users, there won't be any meaningful security breaches -- problem solved!! Here's the landing page -- a new thing in itself, because clicking on an email used to be enough to identify you. The cute graphics are all new. I put in my password and got the box in red above, telling me I had to reset the password by responding to the email they sent. OK. I clicked on the link. I got to see even more wonderful new graphics! These guys are really trying! Then I put in my old password, because I wanted to; it's my password, I should be able to pick any one I want, unless they tell me there are rules. I put it in. It's new. They match. I click on the Reset Password button. Nothing. I change the password and click again. Nothing. Again. Nothing again. They just don't want me, it's clear. If I were a normal user, it would have been game over. But I'm not, so I went back to the password reset email and clicked again. This time I put in a brand-new password. Then, clicking worked -- it got me to the login page, where I had to enter my email and new password yet again. Quora has a big, fat, ugly, super-obvious, BUG in their "we're taking responsibility for this breach and hoping to win back the trust of our users" new entry door to their site, not bothering to perform super-elementary QA on one of the main pathways of the new code. Not some obscure condition. Software QA 1.01. So just who are these geniuses at Quora? Are they the super-smart, rich, cool kids that have such a track record of excellence at other tech sites? Like Facebook and Twitter and the rest? It takes a bit of looking, but the simple answer is: yes. Super-smart. Beyond cool. Rich. And still can't get the most elementary details right! Business as usual in software. Whether it's government, big corporation or cool young hip tech company the story is the same: getting stuff to actually, you know, old-fashioned WORK is beneath, beyond, above or whatever for whoever's involved. Not to mention make software that protects customer data. QA is QA, right? Either you’re committed to quality or you’re not. If you are, you use the widely accepted tools and techniques and produce a high-quality product, or you accept the fact that you’ll churn out crap. What else is there to say? Here’s what: if you accept this view and apply it in the usual software development environment, your QA processes metastasize, invade all parts of the process, and cause endless pain and suffering – not to mention crap software. Eliminating the cancer can only be done by leaving the cancer-causing environment. That means finally saying good-by to peace-time software and going to war. Software QA is a BIG subject. There are lots of methods within a broad set of accepted practices. Experts assure us that “quality” goes way beyond testing; it infiltrates every aspect of the software SDLC. But testing by itself, which is just part of quality, is a HUGE subject. You can get certified. Here are some of subjects involved in testing according a leading certification organization. Most organizations aren’t aware of it, but the typical, expectations-based, peace-time software development organization is highly prone to QA and testing cancer. Everybody is supposed to do good work. You’re supposed to take the flawless results of the previous group’s work, do what you do to it, and pass it on to the next group – error-free. When it’s obvious you’ve been given crap, it’s easy to reject what you’ve been given and throw it back at the slugs who gave the crap to you. But all too often, the problems don’t emerge until you’re pretty far down the line of doing your own work. Then it’s upsetting and embarrassing. The schedule is at risk, and who’s at fault? Once this happens a couple times, on the sending and receiving ends, most people respond by creating as many quality measure as they can, to be applied to the work they’re given. Then, having been blamed for producing bad work a couple times, they run all sorts of tests on the work they’ve produced before passing it on. Why wouldn’t you? You don’t want to receive bad work, and you certainly don’t want to be blamed for giving bad work to someone else. But you can see how the QA/testing steps are reproducing. Inside coding itself, it can be even worse. In addition to inspecting the code that's calling them and that they're calling, the programmers can "enhance" their code with additional code whose sole purpose it to check whether the inputs they're given -- at run-time -- are correct, and then again to test the outputs they're about to give. As though that isn't enough, lots of quality-minded programmers are way into writing code that tests each individual piece of code; this can be before you write the code (i.e., test-driven development, which is currently fashionable, something programmers say they want to do to show everyone else how good they are) or after you write the code (i.e., plain old unit testing). What's worse is, I've just skimmed the surface! We changed so much old code, I didn't have time to update all the tests for it. Then you'll find a group that isn't testing inputs or outputs. More time and money needed. Get mad and remove any of these steps? You've just given the group a "get out of jail free" card if/when something goes wrong. Testing cancer is one of the main reasons why peacetime software is a lengthy, organized expensive process ... that produces disastrous results. Then, when you try to fix the problem so it doesn't happen next time -- the cancer spreads. Current quality and testing methods are a cancer on software development, and there is only one known cure. Forget "quality," whatever that is. Concentrate on testing. Move from correctness-based testing everywhere to change-based testing at just a couple key points. Move all testing from the lab to production. Move all testing from periodic to continuous. There are a number of posts in this blog that spell this out. There are even books! The advance of software QA cancer is inexorable and unstoppable in environments that are friendly to it. There is only one cure: Wartime software and its associated methods. Large organizations have trouble building software. This has been true since the dawn of software history, and shows no signs of changing. The decades-long, rolling disaster of Microsoft Windows is a great example of this. I've been hit personally with this. Recent experiences with Windows 8 have renewed my appreciation of the breadth and depth of the on-going awfulness of Windows. I got a new computer. It had Windows 8. I was setting up my new machine and I wanted to do something simple. I had remembered that in some earlier version of Windows, you could get the screen saver to display the file name of the photo it was showing. This was useful if you wanted to get your hands on the photo that just flashed by. It's a pretty small feature, but one anyone who stores photos on their PC could find it useful. So I drilled in to the screen saver. I went into the settings, and didn't see the control I was hoping would be there. So I clicked on Help, something I rarely do, but what the heck, that's what it's there for. Here's what I got: The content is missing! It's a little thing. It's not like my computer crashed. In the world of books, it's like a footnote was missing -- hey, that's an idea, let's compare the new edition of Windows to the new edition of a book! Most of us know how to judge books. If a book is poorly produced, like the pages tear easily and the type is hard to read, most of us will toss it aside -- it may have great content, but it's not worth reading. If we get past the first impression, we'll dive in and start reading. The next potential barrier is how well the book has been edited. If the book is full of spelling, usage and grammatical errors, many of us will think poorly of the author, the editor and the publishing house -- the author shouldn't have made the mistakes in the first place, the editor should have caught and corrected them, and the publishing house shouldn't have put sloppy trash in print. Then and only then do we get to the style and substance of the book. I read a lot of books from many publishers in many genres -- fiction, history, science, etc. -- and I'm happy to report that I rarely encounter a published book that has editing errors. And by the time a particularly timeless book gets to later editions? There are never errors. In that context, how is Windows 8? Note the scroll bar -- there were hundreds more updates that had been applied. The lovely option that lets you see the file name along with the picture was in an earlier version of Windows. Making a new edition of software isn't that much different than making a new edition of a book -- basically, unless you add or change something, it stays the same. In this case, someone had to make a conscious decision to drop an isolated, harmless feature that gave value to many customers. Why would someone do that? It's more trouble to drop a feature than just let it ride along on the next edition, so someone had to actively remove it. There is no conceivable objection to the feature. While not everyone would want it, since it's an opt-in feature, it harms no one. It's like someone deciding to drop a short appendix from a book -- not everyone will want it, but those who do value it. In the paper publishing world, dropping it might save a page or two. But in the electronic world? There's no conceivable reason. I don't claim for a second that displaying the file name on the screen saver is important. I simply claim that the decision to drop it exemplifies the pervasive anti-customer attitude of the Microsoft organization, which unfortunately is typical of large software-building organizations in general. It's the missing Help file though, that really set me off. Again, it's a trivial error, like dropping a footnote. But why would you do it? How could it possibly slip though what should be a totally automated editing/QA process?? It may somehow be complicated in the labyrinthine world of Windows development, but it's a fixable thing. You have a program that assures that for each instance of Help there's a corresponding piece of content, and for each piece of content there's a way to reach it. There either is no such program or it's broken. In the overall scheme of things (Windows remains horrifically slow, it freezes and crashes, etc.) it's a small thing, but surely by the edition of Windows 8 I am suffering with it would have been found and fixed? Software is all about productivity, attention to detail and automation. Unless you've got a de facto monopoly, software is also about meeting customer needs. Large organizations in general (for example government, big corporations) and Microsoft in particular don't get that, in spite of the billions they spend on development and (supposedly) quality. I would love to be able to say it's getting better, but most of the evidence is on the other side. Which is why, among other things, good software will continue to be produced mostly by organizations that are small and willing to do things the "wrong" way. I have pointed out Facebook's lack of desire or ability (who cares which?) to deliver software that actually works. I've pointed out that they're hardly alone in this respect. It's important to accept this observation as true, so that you can change behaviors that may have been unconsciously predicated on the supposition that Facebook delivers great software, effectively and efficiently. They don't. So don't hire their people and expect great things to happen, and don't mindlessly emulate their methods or use their tools! Facebook is a wildly successful company, worth over $200 billion. I'd like my company to be worth even 1% of Facebook. So I better find out what Facebook did, and learn from it. Facebook is a software company, so their engineers must be smart and effective. I better get some of them in so they can teach us the "Facebook way." And their tools -- wow. If Facebook uses something, what an endorsement that is. My guys had better have a real good reason to use something else; I look at what FB's worth and what we're worth -- don't we want to be like them? If a tool or method is good enough for FB, it should be plenty good enough for us. FB is built on software. Therefore, FB software must be wildly excellent. We already know by examining the quality of FB software that it's crappy. So we have reason to suspect that the virtues of FB software may NOT be a driver of FB's success. Consider this thought: What if FB is wildly successful IN SPITE OF its crappy software? If that's true, the LAST thing you'd want to do would be to infect your reasonably healthy engineers with disease vectors from FB. There are lots of reasons software companies can become very successful other than having great software. In fact, by the time a company gets large, bureaucracy and mediocrity normally take over, and any great qualities in the software are normally eliminated. The most common reason a software company gets and stays successful is the network effect, the self-validating notion that "everyone" is using the software, therefore I should too. The network effect becomes even more powerful when there's a marketplace. E-Bay is a great example. If you're a seller, you want to sell in the place that has the most buyers. If you're a buyer, you want the greatest choice of things to buy. Similarly, if FB is where all your friends are, you'd better sign up -- which makes the network effect even stronger. However straight-laced those Harvard freshman looked, a fair number of them were hackers and troublemakers. Here's the very last page of the 1968 FB. Look at the last guy listed. There's a similar entry, with a different photo, at the start of the book. Zuckerberg was solidly in the long-standing Harvard hacker tradition. He had already illictly grabbed student photos for a prior application, which both got him in trouble and made him famous on campus. So when he launched "thefacebook," of course all the Harvard students would check it out. He did this in January. It was used by about half of all Harvard undergrads within a month. His next smart move was to open it just to students at a couple more elite schools, and then Ivy League schools. Once established there, he expanded. He did NOT open the doors and let anyone join -- he moved from one natural community to the next, letting the network effect do its magic before moving on. Finally, alumni were allowed to join, but only if they had a .edu address proving their affiliation. That's when I joined. Only after a whole generation of students had made it the standard did FB allow their parents to join. The quality of the software had nothing to do with this. If people had to pay for it, FB would have flopped. Feature after feature came pouring out of the self-declared brilliant minds of the top people at FB, many of them flops, mixed in with scary experiments with privacy. But it was "good enough" most of the time, it's free, it's where your friends are, what can you do? The conclusion is clear: FB grew to be a huge success IN SPITE OF having rotten software quality and development methods that are just horrible. Facebook software development methods and tools are NOT something a small, fast-moving, high-quality software shop should want to emulate. Their quality methods in particular are not only trashed by their users, but also by a fair number of ex-employees. The same thing goes for the computing and server environment. If you find a talented ex-FB-er, by means hire him or her -- but only after verifying that they're sick of how things are done at FB and want to work at a high-quality place. Above all, don't emulate the actions of FB's leadership. It's the network-effect flywheel that continues to bring eyeballs to their applications, NOT their great software. And think about this: if they're so brilliant and such great developers, why have they done about 50 acquisitions in their short life, a couple of which are important to their growth? Facebook is an incredibly successful company, one of the most valuable on the planet. It is natural to assume that a main reason for this is that they've got a boatload of great programmers who produce code that users love. This assumption is wrong. In fact, the widespread adoption of Facebook masks deep, long-term quality issues that are not getting better. Facebook recently passed $200 billion in market value. Amazing! It has billions of users world-wide and has no serious competition. No one can question FB's success in user count and market capitalization. Mobile device use is going through the roof. We are in the middle of a massive, rapid migration from workstations and laptops to tablets and smart phones. This trend impacts FB just like everyone else. At the recent Money2020 conference, a top FB executive laid out the numbers, which are stunning; in short, FB mobile use nearly equals normal web use. If anything is important at FB, it's got to be getting the mobile app right. So how is FB doing, this premier, ultra-successful company with no lack of resources to do an excellent job? They've got to be doing way better than the rest of the industry, right? Here are a couple reviews. Cindy gave 1 star because the app doesn't work at all, and Johnny gave 2 because he suddenly can't avoid being buried in notifications. Here are a couple more reviews. The third reviewer gave 3 stars even though the app is basically disfunctional. The 3 on the left describe things that worked on a prior release that no longer work, which is the cardinal sin of quality testing. Look at Bratty's review awarding 4 stars, even though he/she can't use the app at all. Makes you wonder if anything but 5 stars is good for FB. Jeremy's review sums it up: "you're still not listening to your users." If only 5 stars represents satisfied users, the ratings mean that about half of FB app users have a serious bone to pick. Which is quite a statement. Compare the performance of the FB app to the performance of your car. Getting a new release of the app is similar to getting your car back from the repair shop, only with little trouble on your part and no expense. Most cars run pretty well -- they start in the morning, run through the day, and rarely break down. When you get your car back from the repair shop, it's even better, even less likely to break down. Not true for FB. Even though it's "in the repair shop" pretty frequently, the FB "mechanics" all too often find a way to break things that used to work, and fail to fix things that didn't work when it went into the "shop." FB programmers and managers think they're way smarter than auto mechanics, but if the car people performed even a little bit like the FB crew, they'd be out of business. The reality is that, with all their oh-so-highly-educated-and-smart mountains of cool (mostly) dudes, the FB crowd can't come close to delivering the quality that nearly every corner-garage mechanic delivers every day. FB quality stinks, and it stinks for their fastest-growing, flagship product. In saying so, I'm simply summarizing the expressed experiences of literally millions of their users. There are ways to achieve high quality software. FB does not lack the resources. The fact that they don't deliver quality and aren't even embarassed about it tells us that they just don't care. The Bogus Basis of "Trending on Twitter"
People write and talk about what's "trending on Twitter" as though the trend meant something. It doesn't. It's based on deeply flawed Twitter search software that gives random, widely varying results. I know the weatherman is often wrong, but what if he said it was going to be sunny in the 70's tommorow and as often as not there was a blizzard -- would you keep listening? It's the same with Twitter, only worse. It's amazing how widespread this useless stuff is. New York Times editors are in on the game. It's even now got a prominent place on Wall Street! You can not only follow what's trending in general, but you can narrow it down to different locations. When a Twitter account is hacked, bad things happen. And sure enough, the markets react. We've really got to stop this. It's not as though we've got reliable data here. It's just not. Twitter has been a technical joke for years, and there are no signs of improvement. I don't have the access to perform a universal test. But I did perform a test, and anyone else can reproduce my results. I did searches over a couple week period for the same term and saved the results. Sometimes the results were correct, but most of the time, items that were there before disappeared, only to pop up again on a subsequent search. Sometimes just a couple things were missing, and sometimes the gap was massive. Here is the evidence. Then I took the search that appeared to have the most gaps, and performed the identical search about a week later. As I documented, one search had just 5 items and the other had 32, when they should have been identical. About 85% of the search results had been dropped by Twitter! "Trending on Twitter" is based on comparing results of a search performed on one day to the same search performed on other days. If the number of results goes up or down, you've got a trend. Or so you think. But what if the results are really as bad as I have documented? I found that "blackliszt" went up or down by a factor of 6, like 600%! Wow! Twitter software has always been bad. Management has learned to disguise the awfulness by suppressing the appearance of the "fail whale," but they clearly haven't actually, you know, made the software better. Anyone who takes its results as actually meaning something is depending on bogus data. Twitter software quality Stinks. As I've demonstrated. On revisting and updating the facts, I've decided that "Twitter Software Quality" should be promoted to the status of oxymoron, joining the august company of terms such as "southern efficiency," "northern hospitality," and "government worker." I took samples of searches for "blackliszt" on these dates: Apr 18, 19, 20, 22, 24, 25, May 1, 8. A total of 8 samples. All searches were done as "All" to tell Twitter I wanted, you know, all the results, not just the ones Twitter felt like disclosing at the moment. I only grabbed the first page from each search. I've shown the results in another post. Of the 8 searches, the one on May 1 is the most extreme. Here's a copy of the May 1 search for "blackliszt:"
You can see there are 5 tweets in the list of results, from Apr 11 to Oct 13. I decided to try to find out how many tweets there actually were between Oct 13 2012 and May 1, 2013, the date of the search pictured above. A Twitter search for "blackliszt" performed on May 1 resulted in a list of 5 tweets going back to Oct 13. The same search for "blackliszt" performed on May 8 (above) resulted in a list of 32 tweets that should have been returned by the May 1 search. Maybe there are more! Given that one is double-counted (Feb 27), who the &*() knows?? What I do know is that on May 1, Twitter decided to discard 27 out of 32 potential results of a search. Roughly 85% of the tweets were gone! I already knew that Twitter software quality was bad. It turns out that it's worse than I ever imagined. It's "Twitter-quality"-is-an-oxymoron bad. You know all those "trending on Twitter" items you're seeing now that seem so modern and cool? They all assume that getting more or fewer results from a search means something. We now know that the results can easily go up by a factor of six, or drop by the same factor, just because of Twitter "quality." It's obvious that "trending on twitter" deserves to be the punchline of a joke, not something that anyone pays attention to. There are big problems with software quality. The problems range from social apps to corporate to academia, include "mission critical" software, and everywhere in between. The social apps in particular have decided it's embarassing. But instead of actually, you know, fixing the problems, they seem to have decided to mask the problems! Twitter is a great example of this disease. Suppose you're a kid and someone is demanding answers from you. Either you know the answer or you don't. If you know the answer, it's simple: just give the answer! Q: When did Columbus sail the ocean blue? If you don't know the answer, there are two ways to respond: the right way and the wrong way. The right way to respond is simple: Just say you don't know! The wrong way to respond is a little more complicated. You have to guess at an answer, state it as though you knew the answer, and hope no one cares or that the person asking doesn't know either so you can get away with it. Q: Name the ships in Columbus' voyage to the New World. A: The Nina and the Santa Maria. Q: Is that all of them? I never thought it would happen, but now I have fond feelings for Twitter's Fail Whale, which I haven't seen recently. You would think that the fail whale not showing up as often would be a good sign. It's not. It's a sign that Twitter has decided that it's better to lie than to admit it doesn't know the answer to the question you're asking. Instead of forthrightly saying "I don't know," Twitter now brazenly gives the wrong answer. Even worse, it gives a different wrong answer from one day to the next! Here are some screen shots of the results of the identical query, for "blackliszt," over a couple of weeks. I always selected "All results" to remove any excuse that Twitter was selecting the "top" results to help me out. I tried again the following day, Apr 19, and was quite surprised with the result: the Rebelmouse tweet simply disappeared, pulling an older one into the results! On Apr 20 I added a tweet and did the search again. My new tweet was there, and RebelMouse came back! On Apr 22 I tried yet again and got another brand-new variation: this time Cadencia's tweet disappeared! Note that I had tweets on Apr 10 and Mar 25, both of which included "blackliszt," neither of which appeared in any of the search results!! Social Media software quality stinks. It's worth every cent you paid for it. Oh, you didn't pay anything for it, you say? Well, that's my point. When a program like Twitter gives you an interface, lets you do a search, gives you a result that's even worse than my "Nina and Santa Maria" answer, brazenly implies that it's the right answer and everyone just ignores the issue, something is wrong. Q to Twitter exec: Why does your software randomly leave out results from searches? Why should anyone look at "trending tweets" or anything else when the data is randomly bogus? A: I've never been asked that question before. The answer is simple: I do it because I can, because I don't care, because no one else seems to and because I'm worth a great deal of money and you're not. Next question please. Thanks to MaryAnn Bekkedahl for inspiring me to write this up. I've written quite a bit about software quality over the years. In addition to quite a number of posts on this blog, I've written a short book about it. Currently, I just distribute it in PDF form to work-related people, but I'm thinking about releasing it on Kindle as an e-book. Anyone involved in software who's, like, alive, gets real involved with software quality. Many years ago, I discovered it was useful to follow up meetings I had with software groups with an e-mail summarizing the ideas. As common themes emerged, I found myself with a small library of e-mails, cutting and pasting them. Then the collection turned into a document, since the ideas were so inter-related. I started giving the document to groups before meeting with them. I got feedback during and after meetings, everything from mistakes I'd made to important issues I had ignored. So the document grew as it went through at least 15 revisions. There are literally hundreds of books on software quality. There are tools. There are certifications. There's a huge body of work out there. Why did I put this book together? Does the world really need another book on software quality? What more can there possibly be to be said? First of all, let's notice that in spite of all the books, methods, quality software and certifications, software quality still stinks. It stinks in big, process-laiden corporations. It stinks in cool young web start-ups. It stinks all over this land! So what's the problem? Do people simply ignore best practice? Do they not understand it? Do they try to apply it but screw up? The answer is pretty simple: mainstream software quality methods are no good. They cost a lot, take a lot of time, slow down development and modification, and don't improve quality much to speak of. What's more, most people in the industry who aren't completely asleep at the wheel know it -- which is the origin of the typical complaint of quality groups, that they're understaffed, underfunded, and never given enough time to do their job the "right" way. This complaint is generally justified! And it's likely to stay that way, because whenever those groups get what they want, cost and time goes up and quality stays roughly the same. So that's why I wrote what I wrote -- I wrote what you couldn't read elsewhere, about ideas and methods that were ignored by the mainstream. Who knows why? I've stopping caring. I'm only comfortable talking about stuff I know personally. The origin of the book was a large software project, comprising over 7 million lines of code. It processed credit card transactions. I was CTO, and Y2K was rapidly approaching. It was too late to do things the "right" way. We couldn't afford it anyway. Doing nothing was not an option. So I dredged up some methods I had used in systems software testing that I realized no one knew about in applications. Because there was no other option, everyone rallied to this one. We got the job done and passed Y2K with flying colors. Later, as I became more involved with Oak companies, I noticed that the short cycle times of web development forced small groups of desperate programmers to re-invent a subset of the ideas I was beginning to systematize. When things were really bad in companies not already using the methods, I could sometimes get them to try them, and the ones that really shifted to the new methods found success. By "success" here I mean simply that they got higher quality software with less time and effort and shorter cycle times, with less "tax" on development. For a few years, I thought it was important to keep this magic bullet secret. Hah! Glaciers will melt before most software development groups try anything that challenges the way they've done them for years. With no big, formless, unproductive but “necessary” QA group, there is no place to put weird new hires in hopes that they’ll get bored and leave. There’s also no place to send people who are just too stupid or lazy or socially skilled to make it as programmers, but you don’t have the heart to fire them. There are no big, fire-breathing, invective-filled meetings populated exclusively with overhead jobs (managers and marketing) who argue about “pulling things in” and “risks” and what happened last time and “competitive pressures” and elaborate project management charts in 4 point type that someone made up last night but everyone makes believe actually have a relation to reality other than “not.” Meetings like this raise everyone’s heart rate way more than hours in the gym and supply anecdotes providing amusement and smarmy edification for weeks. They would be missed. Will I push the "publish" button? Probably. I'm thinking about it. Update: I've thought about it. The button has been pushed. The book is here. The book I threatened to release is now available on Amazon. Does your Software Work Well? Look Good? It doesn't matter how good your software looks if it crashes. If it's broken, please take it home and don't come back. But if it does work, then the next thing you should care intensely about is how good it looks. Software winners tend to combine great design with code that, you know, works. I'm a fanatic about software QA. It is one of the most unappreciated aspects of software development. But it's not the only thing that matters. Just as in math, beauty is something that pervades all aspects of great software, internally and externally. The impact of great design should never be minimized. One of my favorite Oak companies is OneMedical. They are re-inventing the doctor's office. They use great software behind the scenes, much better and more effective by far than most doctors use. They use modern methods for patient/doctor communications; you can e-mail with your doctor -- what a concept! On top of all that goodness, they have great design. The pictures on their website give you the basic idea. I just went in for an annual checkup. My doctor, Malcolm Thaler, was great. Here's a picture I took while in the "waiting room" (given how it looks, I kind of hate to call it that). Here's a picture I took through the window of Dr. Thaler's office. Even if you don't have access to the software behind the scenes like I do (I mean in general -- no, I can't and wouldn't want access to patient records), the great design of their offices gives you the visceral impression that good things are happening at OneMedical. As indeed they are. The lesson is a general one. Once you've gotten good, be sure you look good, so that people will think the right thing at first glance. Software Quality Assurance (QA) has grown wildly complex and specialized, while at the same time becoming increasingly ineffective. It's time to question a couple key assumptions and to establish and simple, clean, unifying framework to get the results we want from SQA: "get it right" and "keep it right." On one of the many websites devoted to software QA, I found links to over 100 recommended books. If you accept the assumptions about software development that underly most modern QA, it doesn't seem completely insane. However, I challenge several of the core assumptions. It is a historical fact that much of modern software development theory, including QA, is based on the notion that building software is somehow like a manufacturing process. There are a couple edge cases in which this assumption is useful; but for the general case, it's just wrong and should be discarded. It is similarly clear that most modern software development theory, including QA, is based on the notion that the root fact of software, the fact from which everything else grows, is a set of requirements. There are important cases in which this assumption is useful (a large number of them are algorithms, think Knuth); but for most software, it causes more trouble than anything else, and should be forgotten like a bad dream. Finally, much software is developed with the notion of predictability as central. This is a choice organizations make. If they want predictability, let them have it; it's a valid (if mostly brain-dead) choice. But for most of the software that makes a difference, speed is more important than predictability. Speed is more important than predictability. "Keep it Right" is one of the two major categories of software QA. It has its own distinct methods. It can and should be largely automated. The core, transformative observation here is that your software need not (yet) be correct. When you alter the software, the main thing you want is to avoid changing its behavior (except as intended). The killer in all regression testing software is that you have to go function by function and write scripts to make sure the "right" thing happened. So your work is proportional to the size and complexity of your program. Once you understand the role of "Keep it Right," you see that all you need to do is compare what the software did before with what the changed version does. There are always way to accomplish this. The key observation here is that writing comparisons (think diff) is something you do just once, for the point at which the differences in the software are being compared (for example, the UI or the DBMS). So your work is independent of the size and complexity of your program. The key method of "keep it right" is to replace "correctness testing" with "comparison testing." This can be completely automated; it reduces programmer overhead; and it does what users do, viz., ask the question "what's different?" "Get it Right" is one of the two major categories of software QA. It has its own distinct methods. It cannot be automated to any significant extent. Scripts or automation of any kind are irrelevant to "get it right." Instead of having product people write requirements that someone down the line eventually turns into test plans and test cases, the people who would normally write requirements watch the software's behavior as it grows in capability and guide its development interactively. They see whether this iteration of the software does what they expected, and they also watch their own reactions as they use it, learning from those reactions. Outside people may also play a part in this process. Meanwhile, of course, "keep it right" is running all the time, assuring that only forward steps are taken, and that unintended side-effects are caught so they can be corrected. Once the new round of changes have been "gotten right," they become part of the base set that is "kept right" using the comparison-based test-for-change method. Keep it Right and Get it Right alter the organization, methods, work and results not just of QA, but of the entire software-producing organization. They change who does what and how they do it. When done reasonably well, they align quality efforts with customer expectations, which nearly always are based on the hopeful assumption that at least you will avoid breaking what used to work. At least as important, your product managers and programmers can "goal seek" their way rapidly to an effective solution with minimal overhead. How Effective are Software Factories? Software factories are truly excellent. They are highly reliable, with an error rate near zero. But here's the catch: software factories may be something different than what you think they are. We all know what factories are. A factory is one of those big plants where parts and assemblies go in one end, and through a series of steps, get turned into finished goods. Factories have played a major role in creating the modern world, by magnifying the effort of humans with machines and power. The purpose of a factory is to produce identical copies of a thing you already have and know how to build. Henry Ford's factory didn't produce the very first Model T -- his design engineers did that. Then they created a factory to churn out lots of copies of the original Model T. Everyone credits the Ford factory with producing cars at low cost. All factories accomplish their core function of producing copies at low cost by replacing labor with machines, and by reducing the amount and the skill of the remaining labor. In addition, huge amounts of effort have been poured into factory cost-effectiveness and quality. Supply-chain optimization (how to most effectively get the inputs to a factory) is well-understood at this point. Similarly, both the theory and practice of factory output optimization is highly advanced. Methods for assuring consistent high quality have also been developed, starting for example with statistical process control. We all know that software departments aren't very good at churning out great software. Wouldn't it be great if we could build a factory for software -- a factory that spits out great, high-quality software, on time and on budget, just like all the other factories? No need to dream -- it's been done! There are big companies behind these factories, there are lots of books about how to build them, scary books about how it's being done better in Japan, everything you'd want. Of course, when you look more closely, it's all hype. Most software isn't built in that kind of software factory; if it were, they'd have long since taken over software development, and no such thing has taken place. Fortunately, there really is a software factory. It's effective, efficient, and it's quality is so near to 100% that it's not worth measuring. Furthermore, software factories are widely used -- they're so much a part of programming life, that no one thinks much about them. One of the most widely used software factories is the cp utility. This amazing utility does exactly what a factory is supposed to do -- it makes you an exact copy of the thing you want to have. Amazing! This factory is also high adaptable. If you change what it is you want to churn out, it can still make a copy of it. I can only hope that people keep coming back to comparing the process of building software to a factory because computer software is so consistently bad. The motivation must be great indeed for so many people to fall for such an obviously flawed metaphor. After all, factories are for building copies of things that are fully known and understood -- like Model T cars -- things that have already gone through an extensive design and prototyping process. Ooohh -- I like that -- let's make lots of them! Kind of like the iPhone, right? Foxcon didn't get a call from Steve Jobs asking them to start cranking out iPhones until the Apple design engineers had already designed and built them. That widely-reported last-minute switch of the glass surface of the phone happened after Steve played with the prototype and didn't like it -- before the factory started doing its thing. So repeat after me: designing is what you do to create the first copy of something; if you like it, a factory is used to crank out copies. If you like a piece of software, cp (or the relevant copy utility) is all you need to make a copy of it! The only reason software engineers get involved is if you want something different. For which a "software factory" as properly understood is simply not relevant. There's good news: Software factories exist! They are universally used in the software community! They work: they work consistently; they work quickly; they work flawlessly. Be happy. When you're at war, your software needs to work -- not in the lab, but in reality. In the field! You don't have time to test your software in the lab, and you don't care whether it works in the lab. You need field-tested software. Software that works -- in the field -- where you need it to work. Normal software QA pays lots of attention to the process of defining, building and deploying software. You hear phrases like "Do it once and do it right;" "quality by design;" "we don't just test, quality is part of our process." There are lots of them. They all, one way or another, promote the illusion that mistakes can somehow be avoided, and that we can -- finally -- have a software release that works, and works the way it's supposed to. This time we're going to take the time, spend the money, and do it right! How did that work out for you? Most often, it's like predictions of the end of the world. The date comes, the world is still here, and people try to avoid talking about it. Similarly with that great this-time-we're-doing-it-right release, the release comes, there are roughly the usual problems, and people try to avoid talking about it. Or there were fewer problems, but the expense and time were astronomical. Or there were fewer problems, but not much got released. Whatever. Here are some favorite phrases: "It worked in the lab!" "How could we have anticipated that case?" "The test database just wasn't realistic enough." "Joey So-and-So really let us down on test coverage." "We had the budget to do it right, but not enough time." "We didn't have enough [tools] [training] [experienced people] [cooperation from X] [lab equipment]..." Excuses, every one. Perhaps there's a fundamental reason why we always fail? This is a subject your CTO and your chief architect should stop ignoring and pay serious attention to. It isn't the only subject, but it sure should be #1 on the list. Who cares how the software operates anywhere except in production?? The lab environment is always different from the production environment. And the most embarassing problems are the ones where it worked in the lab but failed when deployed. The number of potential causes is endless; different machines; different loads; different network delays; different database contents; different user behavior; different practically-anything! Given this, why wouldn't you test your software on the actual machines it will run on when it's put into production? Of course, you don't load-balance normal user traffic to the test build as though everything were hunky-dory. That's just asking for trouble. But it's not hard to send a copy of the traffic to the test machine. That alone tells you huge amounts. Did it crap out with a normal load? Now there's a real smoke test. And there's lots more you can do as well. Your customers don't care how your software worked in the lab. They only care how it works for them. Yes, that's awfully self-centered, but that's just how they are, and no one is likely to talk them out of it. So live with it, and shift from pointless lab testing and back-office quality methods to actual field-testing of your software. Yes, it's messy, dirty and uncontrolled -- but it's real life! It's where your software has to run! Better it should get used to it sooner rather than later. We know our users want high quality software. We know our software, in general, stinks. What’s our problem? We say we value quality highly. Who will admit to wanting poor quality? Who would design a lawn mower without a “dead-man’s” switch – the kind of thing where you have to keep pressing it to keep the lawn mower running; if anything goes wrong, the mower stops and nothing bad is likely to happen. But when software is involved … watch out! There was a case this year of a person being crushed by an elevator. The stories at the time blamed the workers for failing to follow procedures. They probably didn’t. But why would software be written to even make this outcome possible??? Why does bad software happen? Poor quality doesn’t need to be achieved – poor quality happens all on its own, without our having to do anything to make it happen! That’s why it’s so wide-spread! It’s just like when you’re writing natural language. Who thinks that the text of Twelfth Night that we read today was Shakespeare’s first draft? The typical incentive structure for quality practically guarantees we won’t get much of it. High-quality software doesn’t get kudos – it’s expected. You may get slapped if the quality is stupendously bad. When it’s adequate or better? Yawn. There is a long tradition of attempts to improve quality in software. Think test-driven development. Think about all the people preaching how “quality” is different than (and better than) “mere testing.” Decades of effort have resulted in little to no progress, except for spending more time and money. Chief among the errors in focus is the way we put our effort into assuring the quality of the new stuff we’re building instead of what customers mostly care about, which is whether the old stuff continues to work. If you are using project-management-style techniques to build software, achieving high quality is nearly impossible. At least if you’re using “grow the baby” techniques, it’s possible to maintain a reasonable level of quality. Most software stinks. We know it. We give lip service to quality, but little more. When we apply standard methods to achieve higher quality, we are rarely rewarded for our efforts. QA is one of the lowest status jobs in software, and most likely to be cut when there is pressure of any kind. Given the situation, we get exactly the quality we should expect. The theory of software quality makes my head hurt; the reality makes me want to cry. There is a great deal of material written about software quality. It's a HUGE subject. It's also a diverse subject with lots of experts and lots to study. There is one simple reason for this: Software quality is a horrible %^*%^* mess, and it's not getting better!!! Just scan through the Wikipedia article on the subject and your head will probably hurt too. Note that they've been seeking this expert for nearly three years! Designated as the DoD Software InformationClearinghouse, specifically aimed to serve as an authoritative source for state-of-the-art software information providing technical support for the software community, the DACS offers a wide variety of technical services and supports the development, testing, validation, and transitioning of software engineering technology to the defense community, industry, and academia. DACS subject areas encompass the entire software life cycle and include software engineering methods, practices, tools, standards, and acquisition management. Also included are programming environments and language techniques, software failures, test methodologies, software quality metrics and measurements, software reliability, software safety, cost estimation and modeling, standards and guides for software development and maintenance, and software technology for research, development, and training. I could go on and on, but my head hurts, so I'll stop. With all these impressive-sounding things, books, conferences, experts, criteria, methods and certifications, software quality should be totally nailed, right? To the contrary: something is nailed when ... people stop talking about it! Take the disease smallpox, for example. It's nailed! There aren't theories, experts, or much of anything beyond historical references and scare-talk about potential re-emergence. This is one the better summaries of the reality of software quality that I've seen; ironically, it's from a zombie website for obsolete software written for a long-obsolete machine, that is/had been(?) run by a couple people from some little island in the Carribean. The State Department of the US has inflicted unimaginable pain and suffering on tens of thousands of people throughout the world through their electronic Diversity Immigrant Visa program. It's a highly visible and public example of what's wrong with software development in general, and software quality in particular. Sadly, it's no different in principle from countless numbers of other projects, doomed from inception by inappropriate standards and techniques. The Diversity Lottery Program is just that -- a lottery. More than ten million non-US-citizens worldwide apply for tens of thousands of slots that can lead to US citizenship. Only this time, after notifying the "winners," who started spending money most of them didn't have to comply with the requirements to complete the process, the State Department cancelled the lottery and invalidated the results. Why? A bug in the computer program that chose the winners. Ever since he traveled from his home near Yaounde, Cameroon, on a scholarship to Michigan State University in 2009, Dieudonné Kuate dreamed of immigrating to the United States. As a visiting graduate student in epidemiology, he marveled at the sophistication of the chemistry labs and the excellence of the teaching. There was no comparison to his university in Yaounde, where he shared a cramped 27-square-foot room with three other students. One of eight children, Mr. Kuate grew up on a poor farm in the western plateau town of Banjoun. His parents couldn't read or write. Mr. Kuate is the only child in his family to complete university. "My dreams have been to be a top researcher in my field of specialty. The only place I see these goals being realized is the United States," says the 31-year-old Mr. Kuate, who returned to Yaounde last year and finished his Ph.D. in chemistry. For the past six years, Mr. Kuate has applied for the State Department's annual green-card lottery, and, like 15 million other people, he applied again this year. The 20-year-old program offers about 50,000 people a year a chance to win permanent residence in the U.S.—and a ticket to the American Dream. Denied six times, Mr. Kuate finally saw his number come up on May 1. "There is no English word to express my happiness when I discovered that I was selected," said Mr. Kuate, whose first name means "God given." Within days, his older brother sold family land in Banjoun for around $4,400 for Mr. Kuate to use for application fees, medical examinations and to start a new life in the U.S., he said. His mother believed God had intervened: "According to her, I was going to travel to the white man's country and see how to help other family members who have not gone far in book work," he said. But on May 13, those hopes were abruptly dashed. After logging on to the State Department website, Mr. Kuate said, "I saw a message saying the lottery had been canceled." 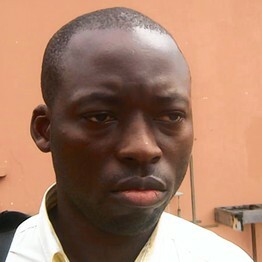 Mr. Kuate was among 22,000 people around the world mistakenly informed last month that they had won the lottery. There had been a technical glitch and the lottery would have to be held again, the State Department said, explaining that a computer had selected 90% of the winners from the first two days of the application window instead of the full 30-day registration period. It's pretty clear that this is one of the more trivial programming jobs on the planet. I shudder to think how much it cost to build, how long it took, and the whole environment that was created that made it (I'm sorry to say) likely that a horrific bug like this would be inflicted on so many innocent people. Since I have no access to the code or project documents, I will comment on a couple of things that are publicly available. Take a look at the Department's page that announces the status of the 2012 lottery. Play around with it a bit, as I did. Perhaps, then, you noticed that the link leads you to the same page you're already reading!! Kafka couldn't have done it better. No doubt this was the careful work of the Division of Self-referential self-reference of the Department of Redundancy Department. Did you take note of the fact that all entries were submitted electronically between October 5, 2010 and November 3, 2010? Which implies that starting on November 4, 2010, they had all their input data? All they had to do was run the lottery program a couple times on the input, run some checks to make sure it was working properly on the new data set, then run it "for real" and publish the results. To be generous, this should have taken about a day. OK, it's the government, we'll give them a week. Really? Geeez...alright, a month! No. NO WAY. $%&$%^& SIX MONTHS!!!!??? ^&(^^&* MORE THAN SIX MONTHS???!!! With that much time, this should have been the most proven-to-be-perfect program in history. PhD students should have been able to break new ground in proving the certainty of correctness of this program. It should have been possible to run it a number of times that compares favorably to the number of grains of sand on all the beaches on planet earth. I love the fact that there's a transcript of a statement on the subject by "David Donahue, the Deputy Assistant Secretary of State for Visa Services." The statement location and date are unspecified. The date of posting is not given. The fact that he made a statement verbally rather than just talking with the public via the web site kind of implies that he's incapable of writing or typing. His "internet department" (or whatever) must be responsible for the web site. And it implies that he still has a job! For some reason, I find that one really annoying! I guess you can screw over incredible numbers of people on behalf of the US Government and suffer no personal consequences. It must be OK to do that! There's a lot more to be said about this fiasco, but I'm tired. Software quality. We need a revolution! Stop the Horror! End the Terror! Most software stinks. Too much software is a real horror show. Loads of software is discovered to be rotten to the core before it is widely inflicted on customers, leading to missed budgets, deadlines and crippled businesses. An amazing amount of software, already bad and late, is still inflicted on the world, sometimes creating true tragedies. The only things in software that are more riddled with stupidity and incompetence than designing and building it are the methods used for assuring its quality. We should be running around in panic, trying to strengthen the levees against the rising flood of software problems; instead, we have smugly promoted standards, careers and processes. In the face of repeated, costly failures, the standard prescription is to do more of the same, except spend more money and take more time. "Software quality" should be added to the cynical pantheon of "southern efficiency" and "northern charm," words that we know just don't belong together. I have spent more than 40 years in the software industry, and have made my share of mistakes. I'm no more perfect than anyone else. But through my personal experience of writing a great deal of code over decades, and now from my vantage point of getting an inside look at the work of many software groups, some unmistakeable patterns have emerged. The key observation is that software development, as it is taught and practiced nearly everywhere, is not a collection of best practices that are constantly being refined and improved over time. It is a disorganized mish-mash of ideas badly adapted from other fields whose practices are simply inapplicable to software, and then patched and elaborated to make them sound good. This observation applies even more strongly to software quality. I accuse no one of bad intentions. It does, however, make me angry and sad that our field is so burdened with pre-scientific, faith-based dogma that doesn't appear to be getting better. We don't need evolution here. We need revolution. Are better methods available? Yes. they. are.